Beautifully maintained home located on a cul-de-sac and nestled in the desirable and established neighborhood of Mallard Grove. 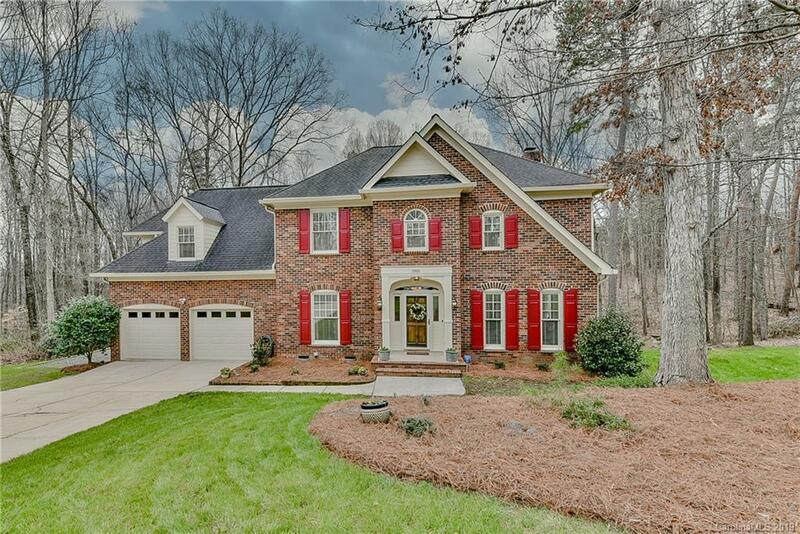 This home boasts many beautiful upgrades such as new custom kitchen cabinets with granite counters and stainless steel appliances, hardwood flooring on the main level, designer paint colors and new carpet in living and bonus room along with upgraded bathrooms and large bedrooms. This home is perfect for entertaining, the large kitchen overlooks a family room with custom built-ins and fireplace. A wooden deck overlooks a large wooded lot that adds a ton of privacy to this home. Also included are K-Guard gutter covers and a roof warranty that is transferrable. Bonus room over garage has separate staircase and would make a great fifth bedroom. This home is conveniently located with easy access almost any part of Charlotte. Closely located to I-77, I-85 & I-485, Northlake Mall, University City, Uptown Charlotte etc. Come see this home today! !